Knowing what to feed cats can be confusing. 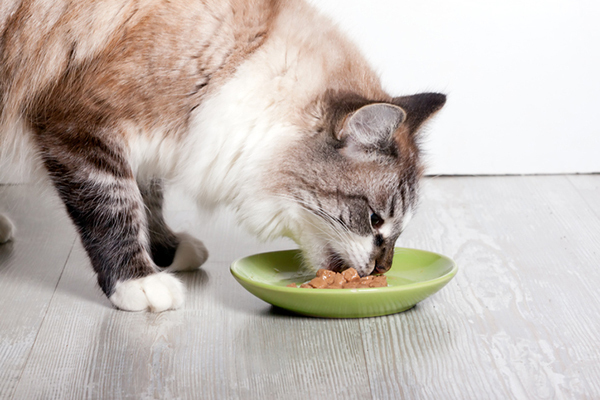 We got the scoop on the essential nutrients and vitamins to look for in a cat food. Wondering what to feed cats? Let us break it down for you! Photography ©nemchinowa | Getty Images. With the help of Elisa Katz, DVM, a veterinarian who serves on the Feline Nutrition Foundation, Catster is happy to school you on some essential nutrients your cat needs and deserves to stay healthy, live long and swat away various diet-influenced diseases like diabetes, heart disease, irritable bowel disease, arthritis and more. “The best diet for cats starts with a real meat — not a meat meal — and is the least processed,” says Dr. Katz, who takes an integrative-holistic approach to caring for cats, dogs and other companion animals at her Holistic Veterinary Center, located in Bourbonnais and Downers Grove, Illinois. Second insight: The feline biological system lacks a high-thirst drive. There are many health benefits to serving quality canned or commercial raw food diets to your feline. In her home, all five of her cats ages 9 to 1 are fed 30 percent raw food and 70 percent canned food. Any treats they receive are freeze dried and consist of a single protein, like chicken. The result? “All are at perfect weights and have healthy coats,” Dr. Katz says. “Providing your cat with the right nutrition reduces their dander, inflammation and digestive issues. Remember, cats are such small creatures, and exposure to chemicals can have a huge impact on them.” Her quest to help educate people on the benefits of serving caloric-dense, clean nutrients to cats led her to join the Feline Nutrition Foundation, created in 2011 as a nonprofit group focused on advocacy, research, nutritional analysis and education. 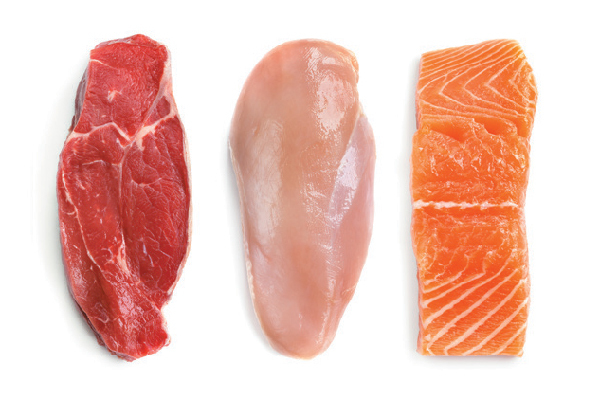 Beef, chicken and fish are good sources of amino acids. Photography ©robynmac | Getty Images. Ready, class? The two nutrient headliners are proteins and fats followed by a supporting cast of key minerals and vitamins. Much has been declared by feline experts about our cats’ true identities as obligate carnivores — aka meat eaters. But let’s delve deeper into the building blocks of protein: amino acids. The amino acids are responsible for making antibodies and hormones, providing energy and aiding in growth and development. It turns out that cats can only produce 12 of the 23 amino acids they need. The rest must come from being fed a quality animal-based protein diet. Two must-have amino acids that cats cannot produce are taurine and arginine. Taurine is essential for heart and muscle health, while arginine draws applause for helping the liver to remove ammonia. An arginine deficiency can result in neurologic symptoms. The only available sources of taurine and arginine are found in quality animal-based protein diets and not plant-protein based diets. Good sources of these amino acids are beef, chicken and fish. There are a lot of hard-to-pronounce-and-spell fatty acids cats need, including alpha-linolenic acid, eicosapentaenoic acid, arachidonic acid and gamma-linolenic acid. But fortunately, these and others fall into the better-known groups of omega-3 fatty acids and omega-6 fatty acids. Cats need essential fatty acids added to their diets because their bodies cannot make them. 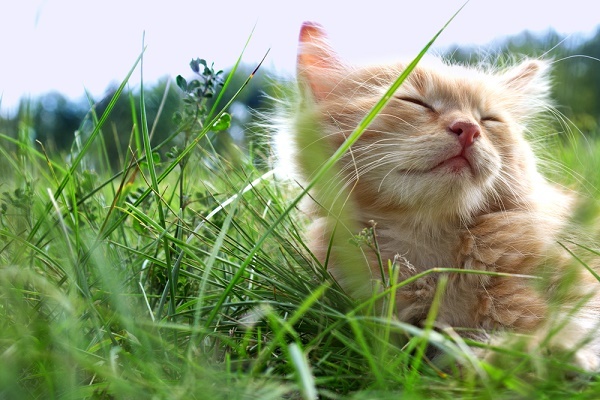 Essential fatty acids keep your cat’s skin and coat healthy, maintain cell membranes, boost the immunity system, reduce inflammation and aid the circulatory system. Unlike dogs, cats need an omega-6 fatty acid known as arachidonic acid, found in animal and fish such as lamb, chicken and salmon. 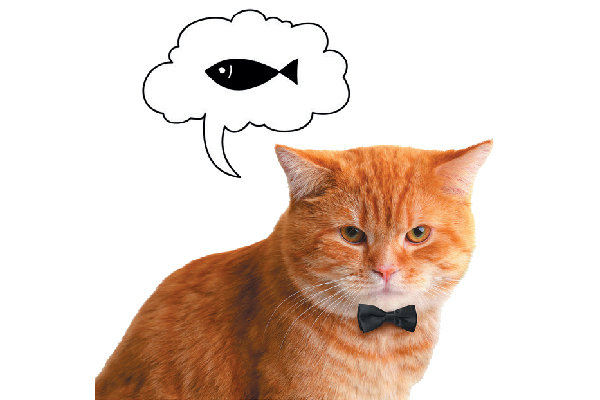 The top three omega-3 fatty acids that should be included in your cat’s diet are alpha-linolenic acid (ALA), found in flaxseed and canola oil; docosahexaenoic acid (DHA), found in salmon and algae extract; and eicosapentaenoic acid (EPA), found in salmon and salmon oil. To learn more about what to feed cats and your cat’s nutrient needs, visit the Feline Nutrition Foundation at feline-nutrition.org. This piece was originally published on April 3, 2018. Arden Moore is a pet behavior consultant, author and master pet first-aid instructor who often teaches hands-on classes with her cool cat, Casey, and very tolerant dog, Kona. Each week, she hosts the Oh Behave Show on Pet Life Radio. Learn more at ardenmoore.com, and follow Arden on Facebook and on Twitter at @ArdenKnowsPets. So what cat food is the best to buy?? Please ask your vet so he can make a good recommendation best suited to your cat’s needs. Would love to have some suggestions with BRAND names included. Too many choices. If we need to know what to feed our pets (with select nutrients as listed above), wouldn’t it also be important to reveal to parents what to serve their human kids? I mean there are diets, even prescription diets (which are completely unhealthy as far as I could see) for pets of all life stages, so why don’t we have this option for humans as well. You know, kibble or cans for babies (these do actually exist, at least the moist food), then for toddlers, teens, young adults, adults and seniors. Maybe in 50 pound bags that slowly oxidizes to save some money? But we simply stop using ‘formulas’ beyond the baby stage (if we choose to feed commercial food), and feed a variety of real food (if the kid is lucky). This results in a healthy adult (if the parent knows to feed real food to the kid). So why not feed a variety of real foods from kitten stage on? Might just result in a really healthy cat (as long as we keep vaccinations to the absolute minimum). One more thing: A nutrient in isolation isn’t a nutrient as found in the context of real food. And still, isolated nutrients are added to (esp. AAFCO ‘approved’ ) pet (and also human) foods. Isolated nutrients can be damaging. I mean, neither humans nor cats can use calcium in the form of chalk or silica in form of a pebble. Not even when ground into a fine powder. Instead, these isolated nutrients get either excreted (if lucky) or accumulate in places they shouldn’t or cause other problems. I consider isolated nutrients as drugs and not food. The best cat food is real whole food without junk in it. Would have been helpful to give maybe one or two suggestions of different way to supplement all these nutrients into my cats diet. Or food suggestions which include all said required nutrients. Great article but not very practical when it come to being helpful..
So… All of that is good to know, but in even easier layman’s terms, how does all of this translate into what is the best food for our beloved felines? Wet or dry or both? Brand names? What level within the brands? Which kind of meat is best for them? I mean, yay! Now I have reference guide, but I don’t have time to read through every bag or can of cat food at the warehouse. Also, any thoughts about Science Diet? Our DVM swears by it, but I’m a bit skeptical… Thank you! So THAT’S why my cat turns his nose up at “human-grade” tuna! And I thought I was giving him a treat! Dumb human. Really smart cat. The error: taurine is not an amino acid. Yes, it has an amine group but it doesn’t have a carboxyl group. It’s a sulfonic acid, not an amino acid. The omission: most meat contains adequate amounts of taurine. Tuna does not. Other than as an occasional treat, tuna is very bad for your cat because it will suffer taurine deficiency. Why tuna, of all fish, is so low in taurine is one of biology’s mysteries. Note: commercial cat foods consist of around 4% of the named meat, the rest is mystery protein. There’s enough of the named ingredient that it smells of that ingredient to you. So tuna-flavour cat food (only 4% tuna) is fine, because the taurine comes from the mystery stuff. Human-grade tuna, being near 100% tuna, on a regular basis is not good for your cat.